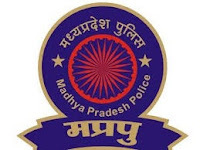 MP Police Constable Exam Question Paper 26 August 2017, Answers, Cut-Off Marks: Madhya Pradesh Professional Examination Board (MPPEB) is conducting MP Police Constable examination in various shifts from 19th August to 18th September 2017 at various centers ONLINE. Here we will provide Madhya Pradesh Police Constable Exam Question Papers with Answers Daily from 19 August to 18 September 2017 based on memory, and various online sources on our Mobile App, Facebook Page and Website by candidates. You can also share the MP Police Constable Exam Papers 19 August to 18 September 2017 in comment box and discuss the answer with candidates with possible cut-off Marks and other details. It is good that there are standards to hire someone on the post. All the hiring must be on the merit basis. So that the deserving people can get the seats and run the system properly. like the sample paper to clear the test for the police constable is given. So get this https://www.aussiewritingreviews.com/australianwritings-com-au-review/ site and which is very helpful for the students.